Even back in the 80's I think it was tough to find matched sets in the stock sizes. When filming BTTF they swapped the NCT's to outlined white letter Goodyear Eagle GT's and the rears were 245's instead of 235's. Going to 245's on the rear doesn't help any when trying to maintain a matched set, as their aren't any currently being produced/available that I could find, except for the fact that you could increase the Cooper / Mastercraft / Hercules rears to 245/60R15 if you really wanted to, even though they're also available in the stock 235/60R15. No matter what you decide to do with the rears, you'd still have to run the smaller sized 185/60R14 in the fronts to maintain a matched set of these. I guess the reason that I'd prefer going down a size as opposed to going up a size is that going up a size could cause rubbing issues - especially on lowered cars, as previously reported by DMCMW Dave. The closest match to the OEM 195/60R14 would be 185/65 R14, rather than 185/60 R14 in terms of overall diameter and therefore "accuracy" of the speedometer. The 185/60's would be 2% slower than OEM and the 185/65 would be 1% faster than OEM. Definitely negligible either way, but may open up some more choices. Thanks for keeping this list updated and current! 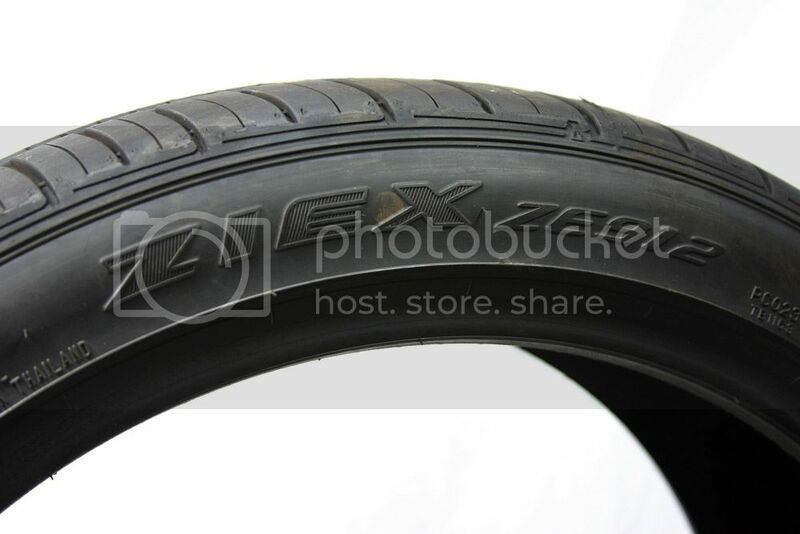 I may do my Falken purchase again, but I'm steering clear of the Chinese made tires. As for Vredestein, they're fairly common in Europe. I first saw an ad for them at the AAFES service center in Stuttgart while I was there from 09-12. I looked them up and saw that they were local and really love some of their tread patterns. It looks as if the Falken ZIEX may be made in Thailand now, as opposed to Japan. I think that Jim Reeve (aka dmc6960) just recently bought a set of the Falken ZIEX-912s. Perhaps he can inform us of where his tires were made. Regardless of where they're made, the ZIEX-912s are the second best choice for a matched set. Personally, I prefer to avoid buying anything produced in low wage / exploited labor / out-sourcing nations whenever possible. If you're like me in that regard, then the only real choice available are the Vredesteins, only ever made in Holland/Germany. If you're lucky enough to find a set of the Fuzion Touring or Toyo Extensa A/S that are made in the USA, those would be the only equals to the Vredesteins. Second would be the Falken ZIEXs' if they're really still being made in Japan. Next in line would be any of the tires produced in South Korea or any of the Cooper / Mastercraft / Hercules sets made in Mexico. Then the made in India Apollo Acelere or Zeetex ZT102. Personally, I wouldn't go any lower than that. I can check this tonight. Dont have the car with me right now as the seats are removed. Am I looking for a plain English "MADE IN JAPAN/THAILAND" or will it be a little more cryptic like a code? This reminds me of something I've always wondered. Shortly after BTTF came out I was having a conversation with Ed B and he told me that "we" had to install some kind of wheel inside the rear wheels that was used to lessen the load on the rear tires so they could spin ... anyone know if this is true? Did Ed's crew at the time even work on the BTTF cars? Unfortunately, it doesn't appear that it does. I would think that they would have used a line lock to get the rear tires to spin as they did in the remote control scene in BTTF - but that would consist of an electronic valve installed inline on the brake lines and nothing special on the hub. I honestly don't know though. In the lower left, you can see where it says 'Thailand' on that tire.